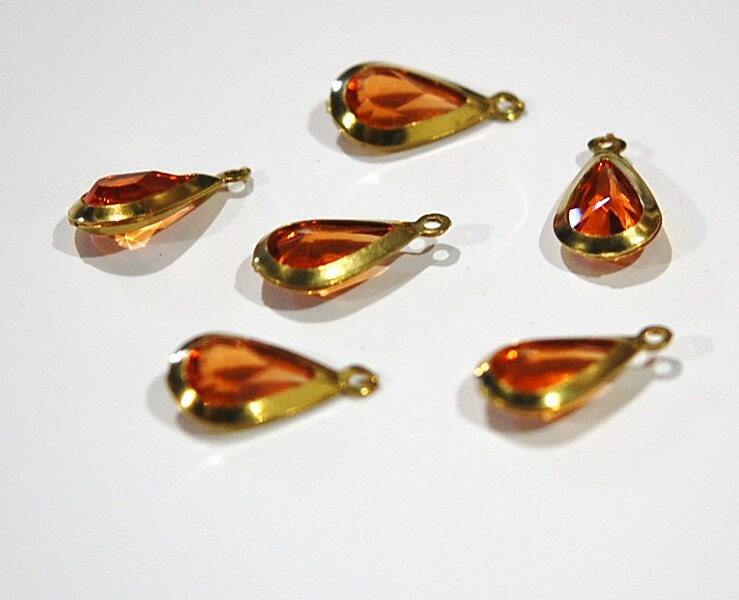 These are vintage acrylic teardrop stones in a brass setting. These have a loop at the top for attaching to your creations. 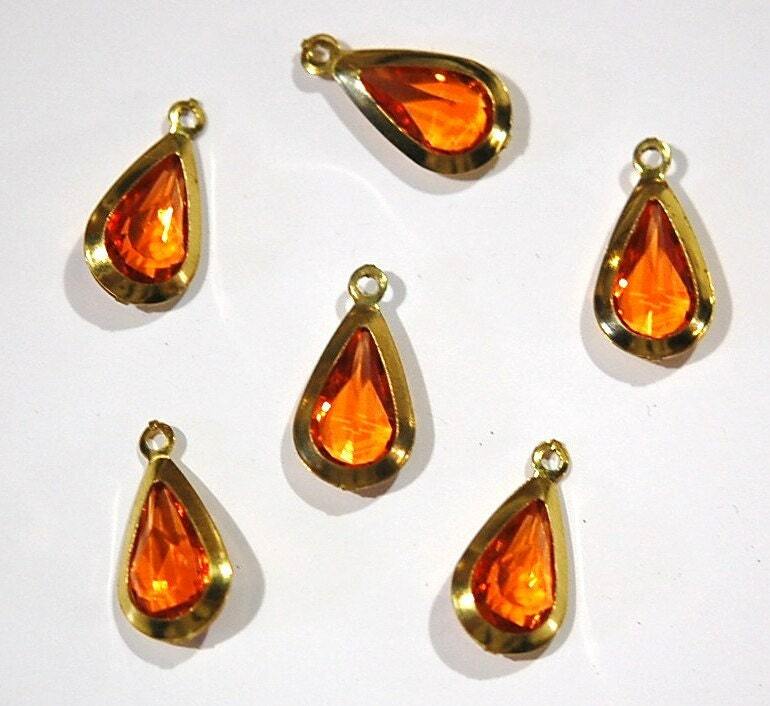 These measure 19mm long with loop X 10mm wide. You will receive 6 pieces. This review is for 6 items. As usual, very happy with all beads! Shopping here exposes my greeds, nTo justify them, I call them my needs!